True to his breed he is barky when strangers come to the home, and is aloof..but ignoring him and giving him a tiny bit of time, he warms up readily. Out of his home, he greets strangers readily. Do you have a big heart and patience...this is what this sweet boy is looking for. 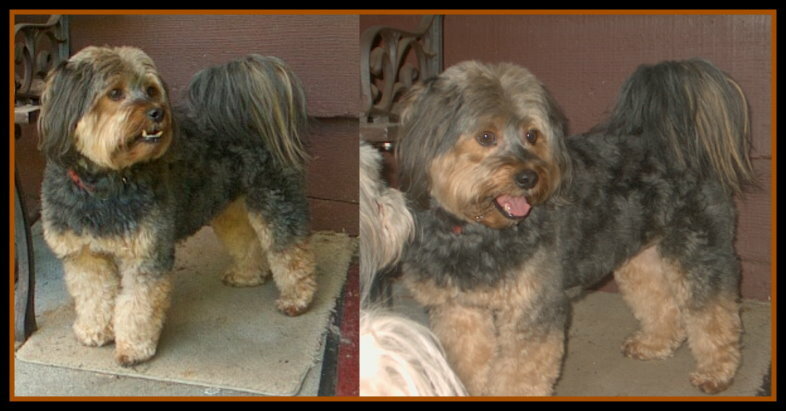 I am not sure what exactly happened in his past life, but when Tucker arrived, he matted to the skin, he had to be sheared like a sheep. For the first week, he completely stayed to himself..now he follows me around, gets excited when he sees me..but he is so insecure...day by day there is a steady improvement, but when rehomed he may revert. He needs a home as an only dog, or he may do best with another outgoing one, to help him. He is uncomfortable in a multi dog home, he was actually afraid of the other dogs, but his comfort zone is improving with them...he wants to be with you, and he really is easy to foster, because he asks for so little, but I want to see him ask for a lot, and become the Lhasa he was intended to be. One of his problems is related to his vision. He has no trouble getting around, but we believe he is near sighted. He will need an Adult ONLY home. We are not completely sure why Dottie ended up in the shelter, owners decided she did not fit into their home anymore:-( Dottie is an easy going, sweet (tad chubby) girl. She likes to follow her foster Mom around, wander the yard, and loves to receive attention. Anyone who wants an easy going girl, and would love to dote on your furfriend, then Dottie is the girl..she just wants to hang her hat and be loved. 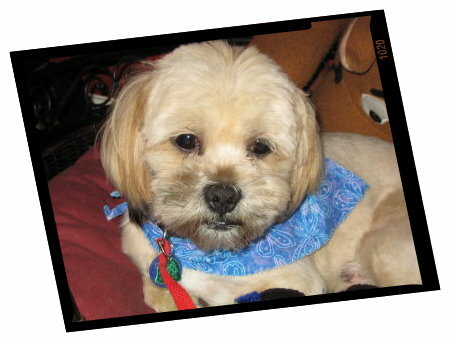 (course she is a Lhasa, so she will have her stubborn moments)...Dottie does have dry eye, which needs daily medication. Max would love someone to snuggle with, and his favorite thing is to burrow under the covers and go to sleep. He loves to be with the foster Dad outside while he is doing yard work. He thinks he is a big dog and hangs out with our two big female dogs. He enjoys walks in the woods and running the river ( he likes the water). He was chasing Canadian Geese and having a great time. He is not the older frail little guy I thought he was. Someone who is home a lot or that can take him when they go away. Max does not like to be surprised or grabbed, this scares him and he may nip. Just move slowly around him so he knows what's coming. Max is very loving and affectionate. Crate and housetrained. This boy is a beauty, with a great temperament. I see wonderful qualities in this boy. At times he can be a bit pushy with the other dogs, as he has a bit of a "its all about me" complex...he is housetrained, likes walks, gets a bit antsy in the car, but I found he will eventually settle down. He likes to play with other dogs, loves to lounge on the couch when he can, would love to sleep on your bed if allowed...loves chews, toys and balls.. He was a dream to groom. Dear Kira girl left our world on Sept.1/10 to wait for her Mom at the bridge, complications from Cushings, and stress on her heart, it was time for this angel to fly. In October of 06, Matea was picked up as a stray in Prince Rupert, B.C. She was never claimed by her owners. She came completely matted (hence the name, and the nickname Matty) she had an eye infection, and overall not in good shape. The shelter shaved her down, and checked out by the vet, and she was like a brand new dog. One of the shelter staff, would bring her 5 year old daughter to work often, and she loved Matea, but it did not take them long to realize, Matea is not fond of small children. The shelter staff realized she will need to go to a home without kids. A lady who wanted a companion was interested in her. Filled out her application, and stating all children were grown, and no visiting children. So Matea went home in January/07...in April she was returned, since she growled at the CONSTANT visiting niece who was 3 years old. The lady, did say, she LIED on the application. Since Matea had been returned, she was a perfect girl, she has never been aggressive to the shelter staff, volunteers or visitors. 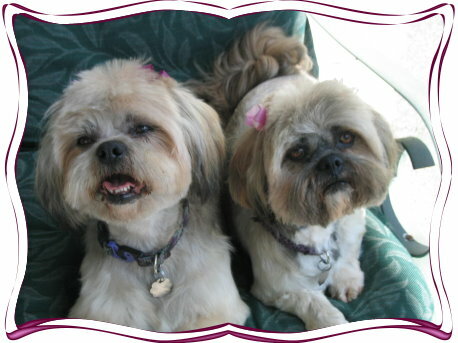 She is a Lhasa though, and has her "stubborn" moments..
Oh my, how can I describe these perfect and gorgeous Lhasa sisters. I do not know anything about their former lives, only from the point they were dumped in a shelter, this shelter is about the worst any of us in rescue have seen. They are put into kennel boxes, with no window, and only one way in and out. When the cages are cleaned, the dog remains in the box and is hosed down...how horrible is that? These dogs came in with kennel cough, so dirty that it took 3 power washes to finally get the crud off of them, and the stench...I could not wait for the beautiful babies to finally become clean, so I could hug them. These beautiful girls are now looking for the perfect lifelong home, where they will be loved and taken care of ALWAYS. They get along with other dogs, (no knowledge of cats). They love to ride in the car and go for rides. They are both housetrained, walk well on a leash, and know basic commands. They are very well behaved lil girls. They are energetic- yet VERY easy going. These wonderful sweet gals are just a treat and would love to share their loving hearts with you, and they will be your best friend and loving companion always. Toby-Brown is a wonderful dog. Everyone who meets TB just loves him. The resident dog tried to boss him around, and he just ignored her, and now he really seems to like her. He likes to chase around the yard with other dogs, and would love to cuddle up with a dog friend. He loves walks and gets very excited if he knows he is going for a walk. TB doesn't seem to really know basic commands, so the foster home is working on that. He does fantastic with either men or women, he will chase cats though, he LOVES toys, especially balls. He loves to cuddle next to you, loves to follow you around, loves to sleep with you...he is a great lil boy, looking for a great home. Chelsea is a sweetheart, with people and most dogs, she is easy going and loveable. I have never seen her have any behavioral issues in the least with anyone...such a blessing for a Lhasa. Sometimes if she is confronted with the wrong dog, she can have her Lhasatude, but in my home with 7 other small dogs she has been great. Sweet Chelsea has dry eye, which she needs daily medication for, as a result she does not have the best eyesight. She also deals with allergies, so needs to be on an allergy diet. She would be a great companion for a retired man/woman...as long as you do not spoil her with the wrong kind of food, and promise to continue with eye medication. So you think I look cute above...now see me after a day at the beauty parlor. Hi everybody! My name is Spencer and I am a pretty happy guy these days. I like to hang out in the yard and watch the birds, soak up the sun, chew on a squeaky toy. I love gazing into your eyes while getting a good scratch. 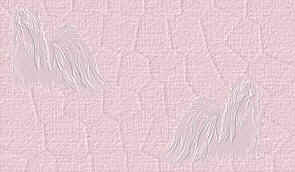 I like most dogs, and even if I don't, I just let them know with a bark. I love to go for walks. I like my crate and will sleep in it all night and not make a peep! Won't you meet me and see how cute I am for yourself? Spencer is a great dog, he has been shuffled around a lot in his lifetime, he needs someone to dedicate themselves to him, improve some of his manners...and give him consistency.